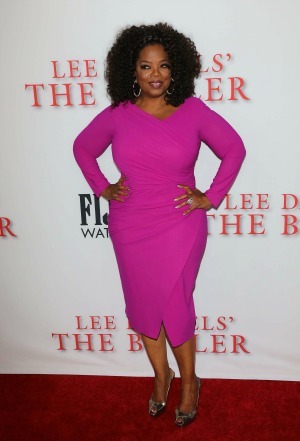 Is Oprah Winfrey finally going to walk down the aisle? After more than 20 years together, is Oprah Winfrey finally ready to walk down the aisle with her man Stedman Graham? Or will he have to wait another 20 years? The world has been speculating as to whether Oprah Winfrey will ever decide to take another leap of faith and finally marry her fiancé of more than 20 years, Stedman Graham. The legendary talk show host has been dating the businessman since 1986 and originally accepted her beau’s proposal in 1992 after six years of dating, but the pair still have not decided to wed. However, Graham is not getting any younger and has decided he wants to ask the love of his life to marry him once again after being inspired by an emotional trip to South Africa for the great Nelson Mandela’s funeral on Dec. 15. The couple have been together for almost three decades and it is now believed the 62-year-old motivational speaker wants to make his lady’s 60th birthday extra special and once again ask for her hand in marriage.